Frequency: 406-430MHz, Gain: 2dBi, 400 MHz omnidirectional antenna designed for 406-430 MHz SCADA, UHF business band, General Mobile Radio Service, and Family Radio Service 2-way "walkie-talkies", public safety band. 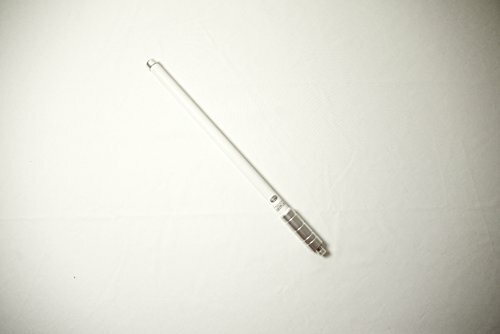 400 MHz omnidirectional antenna series features an integral N-Female type connector. Mounting is easy with a dual u-bolt mast mounting kit, allows installation on masts up to 2.5" in diameter. The omni's are DC grounded for lightning protection. Fiberglass radome for durability, aesthetics and long service life. It is designed for all weather operation. If you have any questions about this product by ZDA Communications, contact us by completing and submitting the form below. If you are looking for a specif part number, please include it with your message.